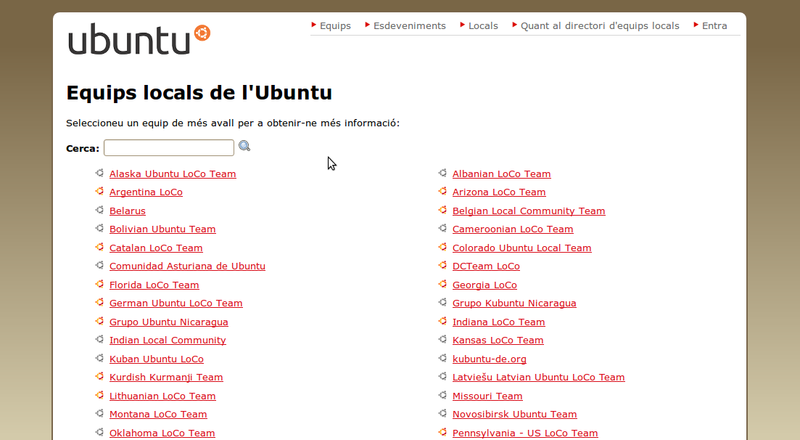 The Loco Directory hackers have asked for some more help in getting the directory translated and thus more usable for your Ubuntu LoCo. And leaving your suggestions or translations there. We've got 7 languages which are nearly completed, and it would really be awesome if also Catalan, Finnish, French, Czech, Asturian, Serbian, Bengali, Greek, Ukrainian, Russian, Romanian, English (United Kingdom), Dutch, Swedish, Galician, Hebrew, Chinese (Traditional), Chinese (Simplified), Vietnamese, Irish, Thai, Arabic, Tamil, Turkish, Welsh, Portuguese, Slovak, Polish, Persian, Danish, Belarusian, and more! would get some translation love. The LoCo Directory has continuous releases, although there are generally not big string changes, so remember to check it out and translate new strings from time to time.